With more than half a century of experience in breeding and producing the Iberian pig, La Jabugueña is one of the few companies in the world that controls the entire production process from start to finish. Breeding and feeding, slaughtering and cutting, salting and curing the pieces right through to distribution, nothing is left to chance. Our pigs are reared in complete freedom, in the vast estates that La Jabugueña has in Sierra de Aracena Natural Park and in Picos de Aroche (Huelva), feeding on the natural resources offered by our pastures: acorns, fresh grass, truffles and aromatic plants, an ideal diet, especially thanks to the essential oils of the glans, which produce splendid products. 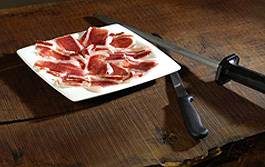 The slaughtering, as well as the cutting, salting, curing and posterior ham and shoulder ageing, is carried out in our installations in the municipality of JABUGO, one of the best areas to produce this gastronomical gem that is unique in the world; Jabugo Iberian acorn ham. Sustainable production, we believe that the Iberian ham belongs on the grazing lands, helping to maintain this valuable ecosystem and therefore guarantee the excellent quality of our products. 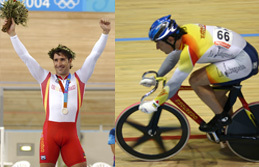 Not all Iberian pigs are the same. And neither are their hams! the Iberian ham elaboration process is eco-sustainable because it respects the traditional processes and curing takes place in natural drying rooms and cellars? Iberian acorn ham is apt for cholesterol control diets? It comes from pigs fed on acorns and so its fat has a similar composition to that of vegetable, specifically like olive oil, which makes it an exceptional foodstuff. Iberian ham is an antioxidant and has high vitamin E content? ham has 50% more proteins than fresh meat? 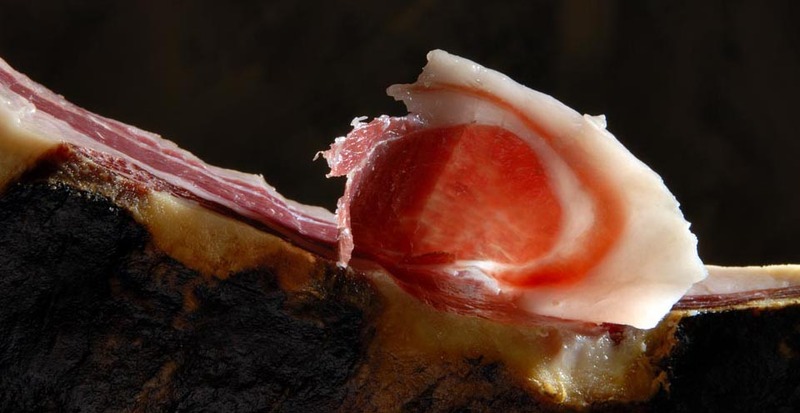 One hundred grams of Serrano ham is equal to 33% of the recommended daily protein intake. Proteins favour growth and tissue regeneration and, therefore, Serrano ham is specially recommended for children and the elderly.